If you're hiring a car in Birmingham during the summer season, we'd always recommend that you consider a convertible. These open top vehicles are a fun way to travel around Birmingham and a great way to arrive at your destination in style. Our range of convertible cars includes a number of sporty 2 seater roadsters and more practical 4 seater cabriolets. 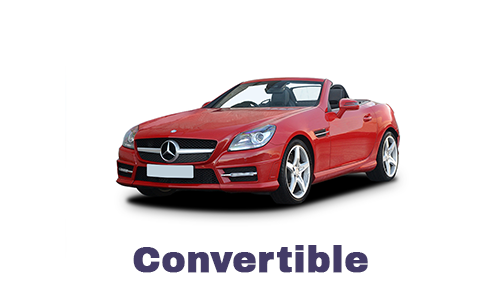 To rent a convertible in Birmingham with us please call 0121 330 0812 or use our online booking facility. As noted above, there are a number of convertible options available. We can offer guaranteed make/model subject to availability. If you'd like further details about hiring a convertible in Birmingham, please call us on 0121 330 0812 or use the form on our contact page.